Posted October 29th, 2017 / filed under Zen West Hollywood Halloween, Zen West Hollywood. Zen Healing’s 3rd Annual Costume Contest! Winner receives an ounce up to $400 in value (of their choosing) and a gift bag. 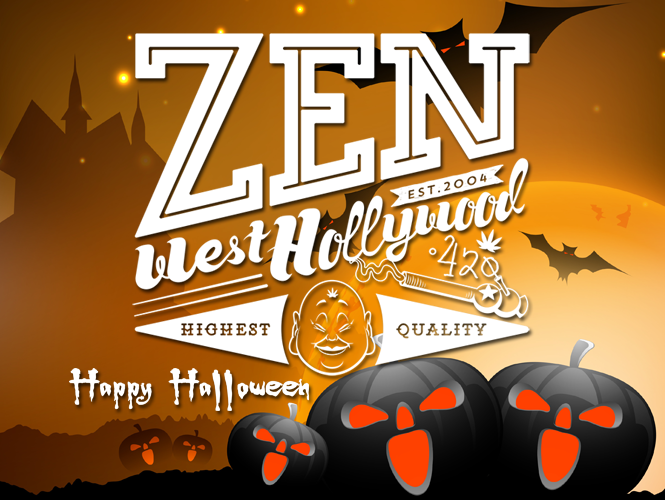 To enter, visit Zen Healing on Halloween (in your costume) and submit your contact info and photo. Photo can be taken onsite. Vendors will provide additional samples and/or run bogo specials. Random large prize bags: given away throughout the day; about 12 bags, ranging in value from 20-100$. Gift bags: All customers spending 40$ or more will give receive a gift bag valued at $150 or more. Bag will contain at least 20 medicated product samples and up to a dozen non-medicated items.